What’s exciting about phone calls? Phone calls are quite simply the lifeblood of every single business. Without them your business will wither and die. You spend all your waking hours thinking about ways to make someone, anyone pick up their phone and call you. You spend a fortune putting your phone number in front of their great big goggly eyes just to make them call you up and what happens? Well I will tell you what happens, not necessarily every time, but what happens often enough for it to become a problem for your business and ultimately you and so a problem for your family if you have dependents who rely on you to pay the bills. Terrible telephone answering happens! and when it does all that precious time you spent thinking up great and novel ways to get them to call you and all that hard earned money you have spent implementing the great ideas is a complete waste! Tell me, who on this planet can afford to ruin their business and put themselves and their dependents in such jeopardy over something as silly and simple as terrible telephone answering? If you’re answering NO right now then answer these next questions as honestly as you possibly can. Is you telephone answering 24 hours a day? 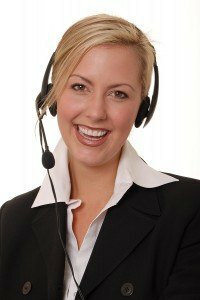 Is your telephone answering totally perfect? With flawless professionalism each and every time the phone rings? If you answered no to either of these questions then you absolutely need to call us here right now and discuss your telephone answering issues and let us take this burden of worry off your shoulders and design the perfect call taking solution for your business leaving you with more time to think up even more great ways of making your phone ring safe in the knowledge that we’ve got it covered for you.